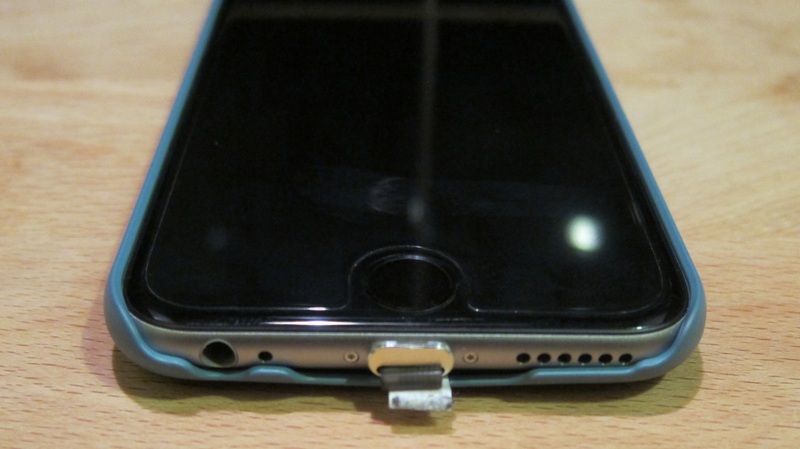 Before starting this DIY iPhone 6 tweak, this method is not taken from Apple, so this is probably not the way they expect you to charge your iPhone 6. Any charging-related problems your phone may have because of this method could render your warranty void, so proceed at your own risk. 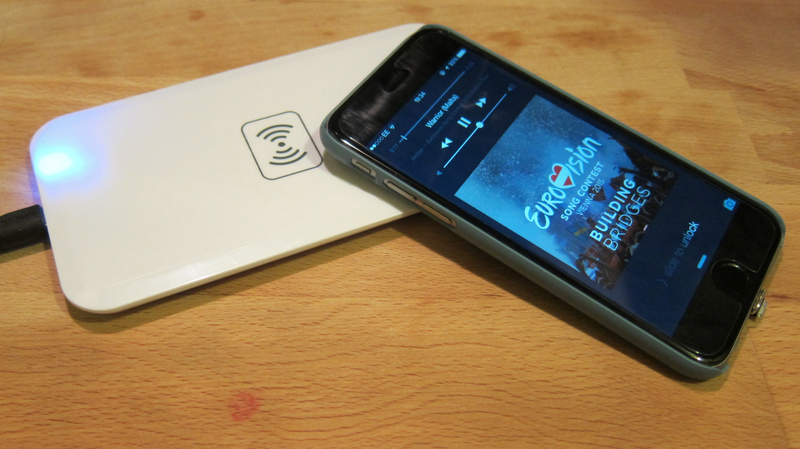 There are a number of ways to wirelessly charge your phone. Though a lot of different technologies have surfaced in recent time, Qi’s hardware adaptability puts it in front of all the others. Qi wireless charging is compatible with a wide range of devices such as the latest Galaxy Nexus devices, and the current-gen Lumia handsets. Also with all the endless wireless charging accessories to charge these devices, Qi is definitely open for use by the local consumer. With the iPhone 6 being one of the best smartphones available, it is also one of the well-known devices that does not support Qi wireless charging. 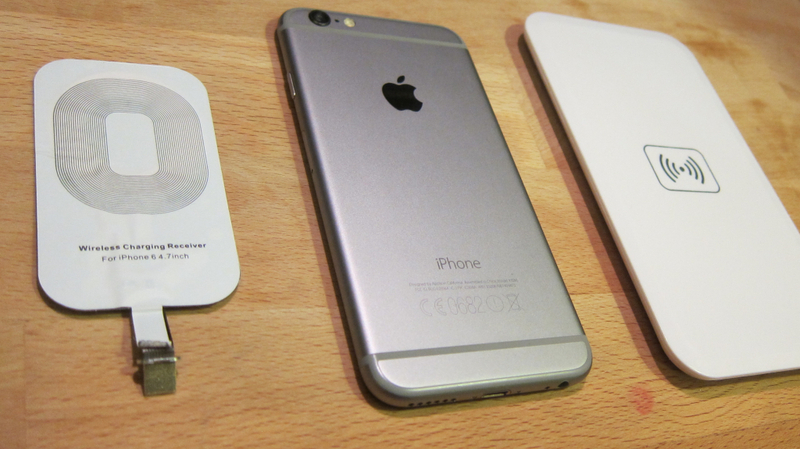 We are here to help you receive the convenience of wireless charging on your iPhone 6. The easiest way to obtain these items is to search in online stores such as Ebay. The Qi wireless charging receiver should cost you around USD10.00 for the Charging Card and you may choose any Qi wireless charger currently available in the market. Take note that the wireless charging card uses the iPhone 6’s lightning socket where you connect your phone’s USB cable. Because of this, it is very important that you set-up iTunes to use wi-fi syncing. You can only do this when your phone is connected via cable and you won’t be able to free-up your lightning socket conveniently after this. Next, connect the wireless charging card’s lightning plug into the base of the iPhone and flip the wireless charging card up against the back of the phone and fix it in place. One good way of doing this would be to use a tight-fit case on your phone, as it covers-up the card and makes your phone look more natural – all while keeping the card in place. Be sure that you’ll be able to find where the center of the wireless charging card is since you’ll be needing to align this to the coils of the wireless charging plate when you charge. 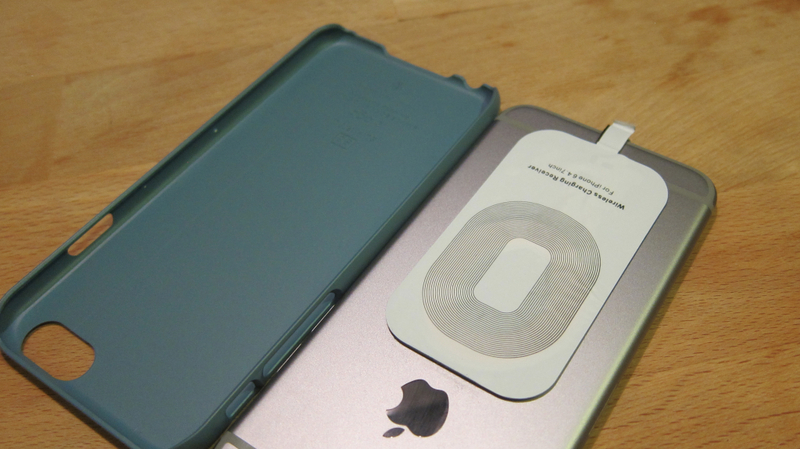 The wireless charging receiver also comes with double sided tape on its back to keep its position in place. When all of this is done correctly, plug in your wireless charging plate into a power source, place your iPhone on top of a wireless charger, and you’re now supposed to see that charging icon go up. Since charging is faster through cables, charging your iPhone will take more time this way. There are also times when the charging card heats up, but this only happens when your iPhone’s battery is full and you leave it on the charging pad for an extended amount of time. Another solution to all of this though is through a Qi wireless charging case for the iPhone 6. We will be reviewing one here soon and we’ll put it up here as an update. Is this also available for the ipad air 2? Why not go for a proper wireless charge case (and pad if needed)! Dog & Bone have one called Backbone and it’s actually faster to charge wirelessly than with the cable!! Very cool stuff – and it also is military grade shock proof. If you tend to drop your phone a bit like me, this is the case you want. And they have an extended battery you can use with the case as well. The Qi doesn’t work on the Gm vehicles. So my question is: Apple doesn’t have a wireless system to charge and sync yet? Or won’t? It’s too expensive of a gadget to try and have it “fry”… Why? I am bummed. I was sure I had seen one, but I guess not! Tell me where or how! i have this exact setup and what you forgot to tell these people is that your iphone will come up with this notification reading “This accessory may not be certified to work with your iPhone” . and it will come up over and over and prevent your ipad/iphone or any ios device from charging…period. Can you tell me exactly what I need to charge my iPhone 6 Plus wirelessly on an IQ enabled charging pad ? I recently purchased a 2017 Toyota Prius Prime with this technology. I am wondering the same thing. We just bought a Genesis G90 with the QI charging pad and I have an iPhone 6 s plus. What do I need! Did you get a reply to this message? I have the same vehicle. Will Qi Wireless Charging Receiver also work with DT-910?